What's so hot about safety cabinets? Safety storage cabinets, the industry standard for containment of potentially damaging or harmful liquids, chemicals, or solids. Designed for hazardous and flammable storage, safety cabinets come in four conventional designs, flammable cabinet, paint and ink, acid and corrosives, and pesticides, these safety cabinets seek to contain dangerous matter in the case of a fire, spill, or disastrous event. Each cabinet is roughly the same in design and customizability, but it is their color that differentiates each cabinet. 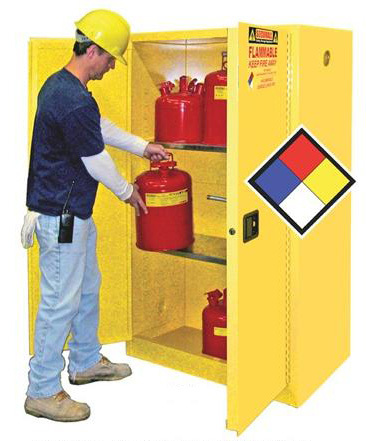 Flammable Safety Cabinets – These powder-coat yellow cabinets are designated for flammable storage by their coloring. Corrosive and Acid Storage Cabinets – Designated by the powder coated blue paint with red lettered signage, the cabinets give a visual cue to workers that these cabinets may contain harmful acids or corrosive materials. Pesticide Storage Cabinets – The green coating of paint indicates these cabinets are for the storage of dangerous pesticides and/or fertilizers. Each cabinet is designed to meet FM, OSHA, NFPA Code No. 30 and UFC 79 standards for storage of liquids and chemicals within a facility. They come in three unique sealing options, Double Manually Closing Doors, Double Self Closing Bi-Fold Doors, and a Single Manually Closing Door. With the first alternative, the two doors can open to a full 180 degrees and offer the largest capacity range, from 22 to 120 gallons. The second choice, self-closing doors, has the unique feature of automatically closing when the temperature reaches 165 degrees Fahrenheit. Additionally, there is a fusible link that will melt with this elevated temperature to seal the cabinet and keep all contents inside to prevent contamination or potential explosions. And the last option, single door and manually closing, is designed for compact spaces for tighter installation areas without sacrificing durability and security. Safety cabinets are also ideal for 55-gallon drum storage, in addition to having the potential of being outfitted with a containment bladder for additional spill mitigation and containment. Additionally, each cabinet is commonly equipped with insulating air space inside, flame arrestor vents, adjustable shelves, and a three-point locking system, making safety cabinets nearly impervious to conventional fires and theft! Want to know more? Visit GEIWorks.com to check out the specs and further details for our safety storage cabinets or give us a call at +1 (772) 646-0597 to learn more about hazardous material handling! Ready to purchase your safety cabinet? Check out our store! Bonus fact: Did you know that “flammable” and “inflammable” share the same definition? 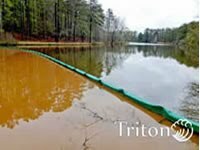 What Type of Turbidity Barrier Does Your Project Need? When selecting the right type of turbidity curtain for your project, there are some important factors to consider. When you call our technical team to ask what type of turbidity barrier to use on your project, they will ask about the conditions present at your site that will affect its use. They may ask for any site plans, specifications or bathymetric readings you may be able to email in for review. In order to understand timelines and lead times, they will want to know when you will need the turbidity barriers on site. They may ask what site requirements there are, or what engineering specs you have been asked to follow, if any. Let’s look at the criteria for selection in a little more detail. 1. Water Body: Is the curtain going to be deployed into a river, lake, pond, stream, or in the ocean? The type of water is important for several reasons. If the barrier will be deployed in fresh water, galvanized components and standard materials should be acceptable for shorter term projects. However, if there are contaminants or if it will be used in salt or brackish water, certain compatibilities may need to be considered. Is the bottom silt? What depth? Sand, or rocky bottoms may also change anchoring strategies. The water body type should prompt additional questions about conditions where the curtain will be deployed. 2. Current: Your technical advisor is going to ask about water flow or the speed of the current where the barrier will be. What direction is the flow relative to the deployment area? Water speed is a significant factor in determining which type of turbidity barrier is required. Our team utilizes load-bearing calculation to help determine what forces will be present in your provided conditions. The velocity of the current in knots is measured against wind and wave measurements to help configure loading. The direction of flow determines the anchoring pattern that will hold the curtain in place. The velocity of the current contributes to the anchoring as well. 3. Waves: The velocity, frequency, type and size of the waves play an important part in curtain type selection. Typically, waves under two feet with moderate winds may allow the use of Triton Type 2 curtains. Faster water and waves of two feet or higher become a more highly engineered project. The load bearing for tension parameters with flotation (buoyancy), drape and weight are all considerations we take into account. The frequency is the timing between waves. As for the type, are they most often breaking waves? Swells? Rollers? All have a different impact on the way the barrier will behave in those conditions. 4. Wind: Wind speed, measured in knots, contributes to load bearing calculations as well, along with current direction, speed and wave height. Wind factors are considered for installation as well as performance and longevity in field. 5. Tides: Tidal water requires specific consideration for which type of curtain, and important accessories should be considered. If tidal swings are significant, then tidal compensators may be required as a sliding mechanism to help the barrier adjust to the varying water depths. In addition, barriers deployed in a tidal area often require more robust components, additional tension cables, and dual anchoring to keep the pre-determined curtain design stable against reversing currents. 6. Navigation: If the silt barrier will be placed in a body of water in which marine traffic is present, proper marine navigational LED lights, markers, reflectors and warning signs may be needed to help with visibility. In addition to adding proper safety accessories of this nature, the design or layout of the curtain may require adjustment and consideration for the flow of marine traffic. Often, curtain deployed in a high traffic zone cannot be stretched across a body of water, impeding traffic. A ‘baffle’ pattern may be suggested, where the silt barrier creates a number of ‘switchbacks’ for water to flow through and settle, but which also allows for the passage of boats. 7. Depth: Water depth and bottom conditions are important in determining the type of anchor that should be used. The Army Corps of Engineers recommends that silt curtain / turbidity barrier skirts remain 1’ (one foot) from the bottom surface at all times. In the tidal conditions above, considerations are made for accessories that can also help with the changing depth. Reefing lines can be purchased and installed during manufacture, which act as the cord on a sent of mini-blinds, furling and unfurling skirt according to different bottom depths. We can also make each section of curtain tailor-made for the area it will be deployed in, so that skirt depth ranges by section according to bathymetric readings of the bottom’s differing depths. Others choose standard sizing for the deepest depth required, then utilize factory-installed reefing lines to manually adjust curtain lengths to match varying depths. Reefing lines are recommended for skirts over 10’ in depth. The reefing lines make deployment, maintenance and removal much easier and more efficient. For skirt lengths over 10’ larger flotation is required. 8. Duration: If the water and site conditions warrant the use of lighter, small barrier types, the duration of the project may be another factor that may require a move to more robust components or fabrics. Most Type 1 projects require curtain that will be deployed for 6-12 months. Longer use will require review of project duration in conjunction with the other determining factors above. 9. Anchoring: Inarguably the single most important factor in the successful performance of any barrier project is proper anchor weight, frequency and positioning for the conditions. Whereas it is not a factor specific to choosing the type of curtain, the factors used to determine the right type of curtain – also determine the right kind of anchoring pattern, frequency and weight. Bottom type, depth, tide, current, wind, and marine traffic are just some of the factors to take into account. Our technical advisors can work with you to determine the proper anchoring required for selected barriers. 10. Accessories: Accessories may seem an afterthought, but the right accessories to match supplied product and conditions for use – can greatly reduce labor, wear, or damage to your silt barrier. Tow bridles help defray pulling force from a single point by evenly distributing forces along load-bearing components. Anchor kits are chosen to suit conditions and curtain types. Repair kits make in-field repairs possible, and fabrics and supplied materials should be compatible with site conditions and longevity requirements. Additional anchor points may need to be installed for applications where more aggressive anchoring is required. “T” connectors can be provided to join sections of curtain in particular patterns to create settling areas. Ground anchors can be provided for Type 1 curtain being deployed and anchored to shore or for in-water applications where depth considerations can be overcome. Hull connectors can be used to attach sections of barrier directly to a hull. Replacement connectors, spare sections, stainless steel components, zinc anodes and standoffs can also be supplied to suit the conditions of your site and the parameters of your project. Be sure to talk to our technical team to determine which accessories can make your job easier, less costly, and longer lasting! Every facility should maintain a contingency plan to prevent accidents from becoming disasters. Before implementing a response plan, it is crucial to maintain the proper spill absorbents and provide training for all employees. While creating a spill preparedness plan, take the time to observe your facility’s environment. Slope: Warehouse floors, driveways, parking lots and natural terrain will show you where the spill will travel. The trick here is not to chase the spill but meet the spill with the oil absorbent materials in a strategic location. Water Ways: If you are near bodies of water, you will have to take stock and imagine the worst case scenario and prepare for it. Have an action plan in place along with adequate spill absorbents on hand. When hydrocarbons hit the water, they can spread very quickly. Response: How far and how much? How far away will your response team be from a possible spill, and how much material will they need to carry to the spill? Shortening the response time and having adequate spill cleanup equipment in strategic locations allows you to respond effectively. 1. What kinds of liquids may consist of the spill (oils, water, coolants)? 3. What is the anticipated size of the spill (small spill, emergency cleanup)? 4. Does your environment/facility need an anti-static product? 5. What is the expected duration of the spill? Will it be considered Hazmat? Medical? 6. Are you looking for reusable or disposable pads? Spill kits, designed for quick access, can play an integral role as part of a response plan. They normally come in three different types: oil only, universal, and hazardous material. Each kit is designed for a specific purpose, such as spill control, regulatory compliance, or preventive maintenance. Spill kits contain a list of products that facilitate a swift response according to an established contingency plan. They can be customized to meet your unique needs. Combining the correct equipment and training with a clear contingency plan ensures that your facility is adequately prepared. With a thorough plan in place, the incidence of a spill can be handled safely and efficiently. The following is an 8 step guide for spill response. Identify the type of liquid spilled and determine the ways in which it will impact your environment. Notify the proper personnel according to your contingency plan. Once the extent of the spill is understood, measures can be taken to isolate the area. Wear appropriate safety gear before addressing the spill. 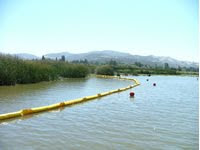 Once the correct absorbents or kits have been chosen, limit the spill area by blocking, diverting, or confining the spill. This could simply involve turning a container upright or plugging a leak from a damaged drum or container. Once the leak has been stopped the liquids should be transferred from the damaged container to a new one. Once the absorbents are saturated, they may be considered hazardous and should be disposed of properly. Dispose of materials according to your local, state and federal regulations. Contact your local disposal company for clarification. Make sure your call list is up to date. You should be able to contact someone in your chain of command or the responsible agency/dept. Review the effectiveness of your contingency plan. These methods are meant to act as a guide for companies to follow. They do not constitute a spill response plan in themselves. However, they do provide a framework of reference for facilities to build a customized plan. Implementing these methods as part of your plan will ensure that your facility will be prepared to respond to unexpected spills. Dewatering – The process of removing water from a solid material or particulates. Dewatering is made possible through the use of various dewatering equipment, such as belt presses, centrifuges, geotextiles, or rotary vacuums. Dewatering is also referred to as unwatering, water control groundwater control, sludge dewatering, construction dewatering, or construction site dewatering. Our dewatering products are made from a rugged, needle punched, nonwoven geotextile fabric. Dewatering filter bags, drain filter socks and sludge tubes are an easy, economical solution to control the amount of sediment that leaves a factory or job site. These dewatering products help you stay in compliance with stormwater regulations. Dewatering products also filter non-stormwater such as: water from cofferdams, water diversions, ground water and water used during construction projects. Dewatering bags are a small investment compared to more permanent mechanical dewaterers as a result of their disposability. This is achieved through a simple design of a hose coupling and a water-permeable geo-textile. When not filled, GEI Works dewatering bags can be folded easily and stored for future use. Once sediment has filled the bag, it can be picked up and transported, depending on weight, to an appropriate dumping location. Or, the bag may be allowed to dry on-site and then cut open to reintegrate the solids into the surroundings. Given the foldable design and cost, water control bags by GEI Works can be manufactured and shipped in very short time frames. Dewatering bags can be set up or transported away by just one person. With their simple design, all you have to do is unfold the bag, attach the hose, and begin dewatering! Although the bags are not reusable, the separated particulates can find use in a variety of applications, including landscaping and agriculture. For example, dewatered silt is high in nutrients, making it an ideal soil amendment for various types of plants and vegetation. 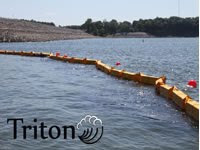 The use of a geotextile allows for passive separation of water and solid matter, which means dewatering bags require the lowest energy input out of all other commercial dewatering products. Simply pump the water and allow the bag to do the rest! Are you in need of a dewatering solution for your next project? Check out our available options at GEIWorks.com or call us at +1-772-646-0597. Welcome to the new and improved GEI Works Blog! Hello and thank you for joining us on the official blog of GEI Works! Our blog has been resurfaced and redesigned from the former Granite Environmental, Inc. style to the improved design you see today. References to Granite Environmental, Inc., with the exception of the blog address, have been changed to GEI Works to match our company name. Furthermore, on the right sidebar there are links to all of our social media accounts so you can stay up-to-date with everything GEI Works, so be sure to visit our Facebook, LinkedIn, and Twitter pages! Activity on our blog has been sporadic in the past, but from here on out you can expect regular updates from us as we share with you new information about containment, pollution prevention, liquid storage, erosion control, trade shows, and the latest news about GEI Works. Be sure to join in the conversation on our social media accounts, as we greatly value your feedback and support. Check back next week for the first of many posts right here on the GEI Works Blog!